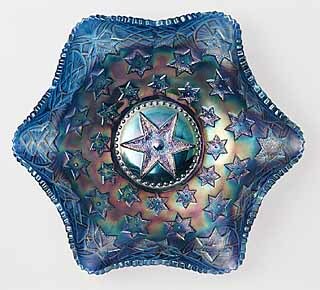 The Many Stars pattern is found with either a five-pointed or a six-pointed star in the center. 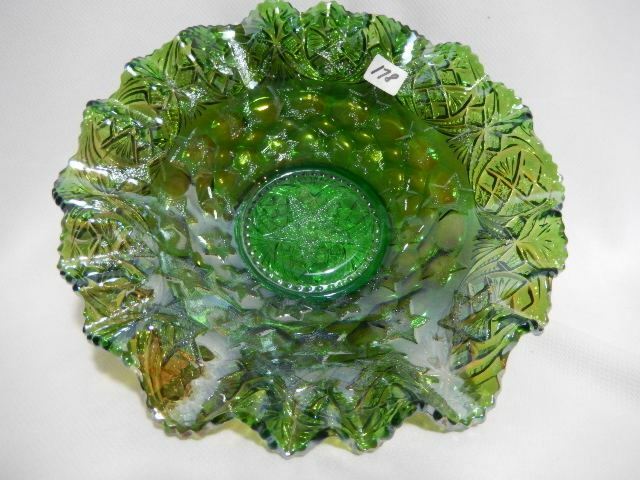 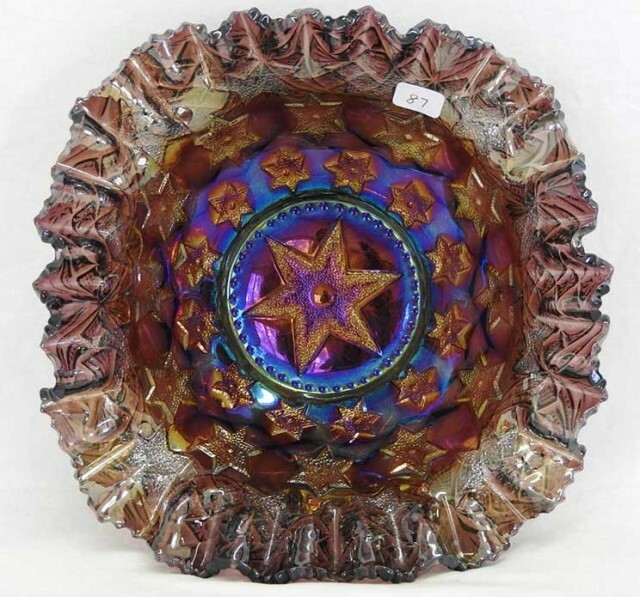 The amethyst ice cream shaped bowl above sold for $1,300 in 1996; the ruffled blue on the right for $2,700 in 1994. 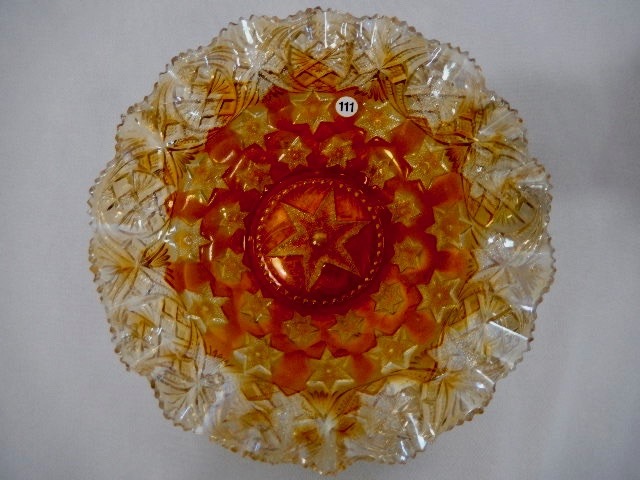 Marigold is surprisingly scarce in any shape, but seems most frequent in the three-in-one edge. 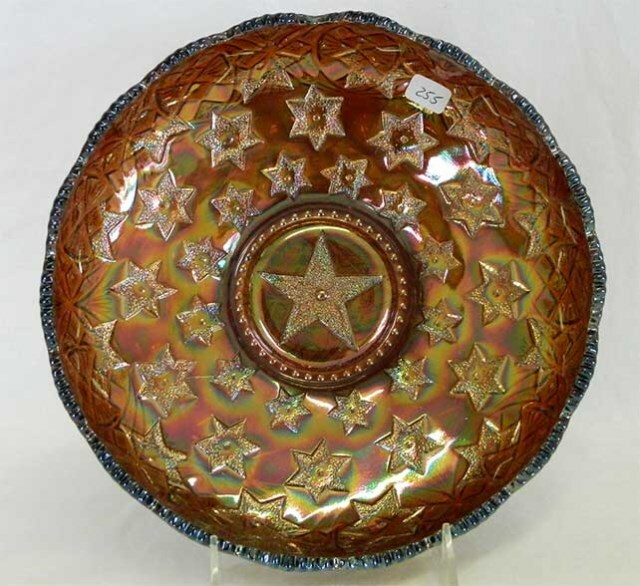 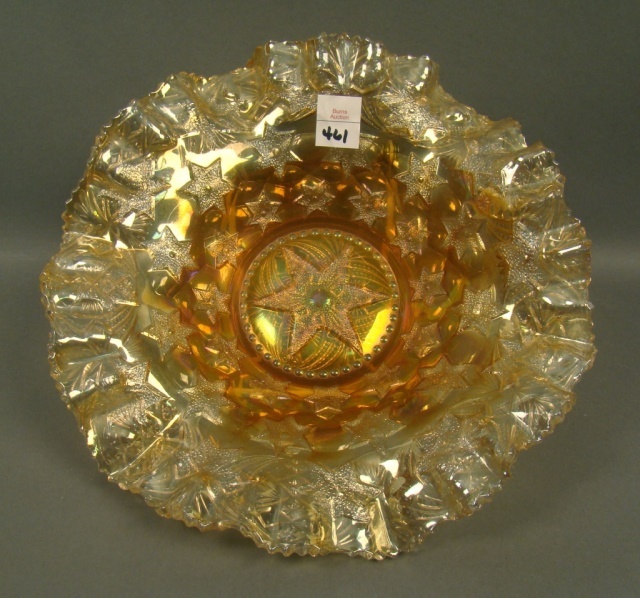 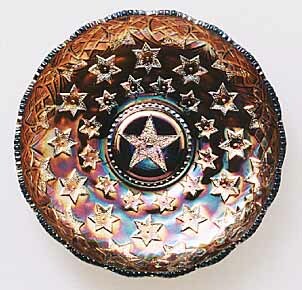 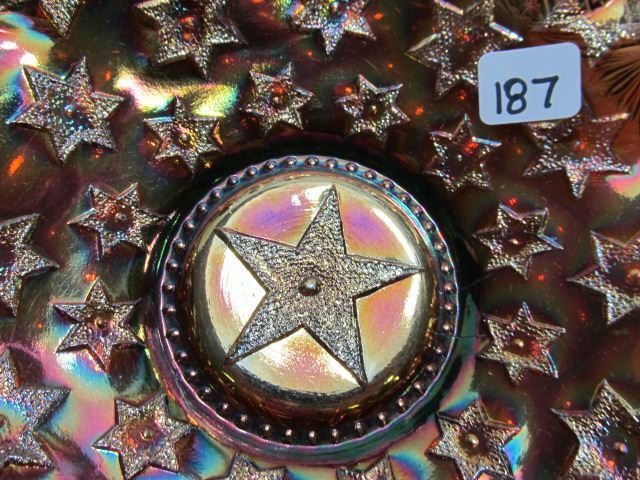 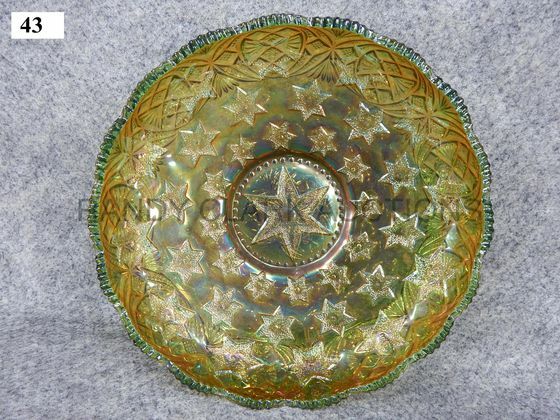 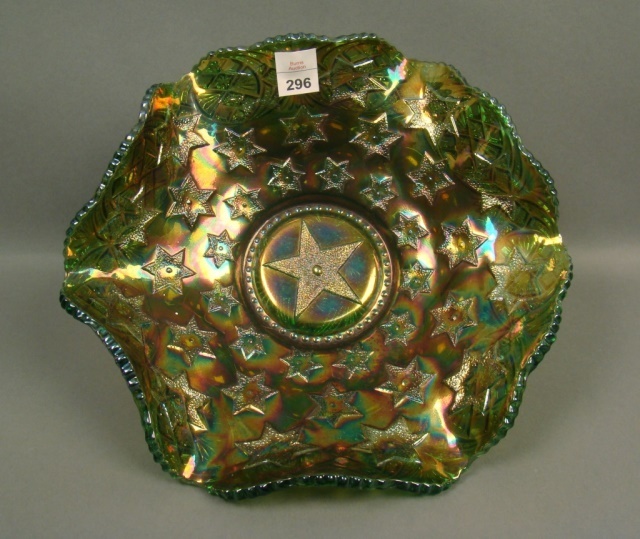 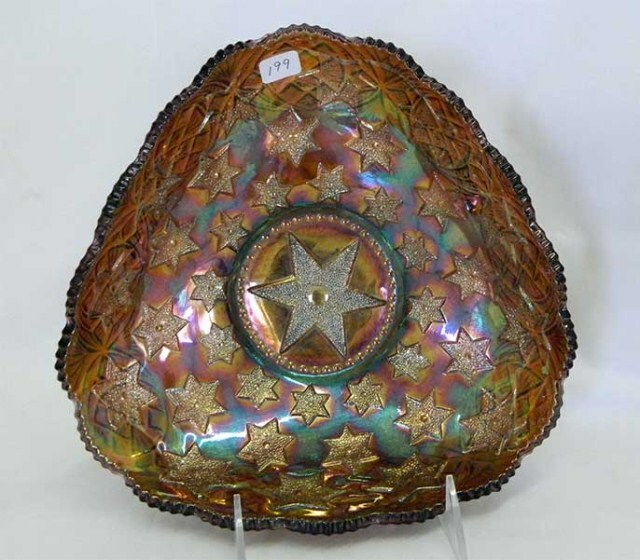 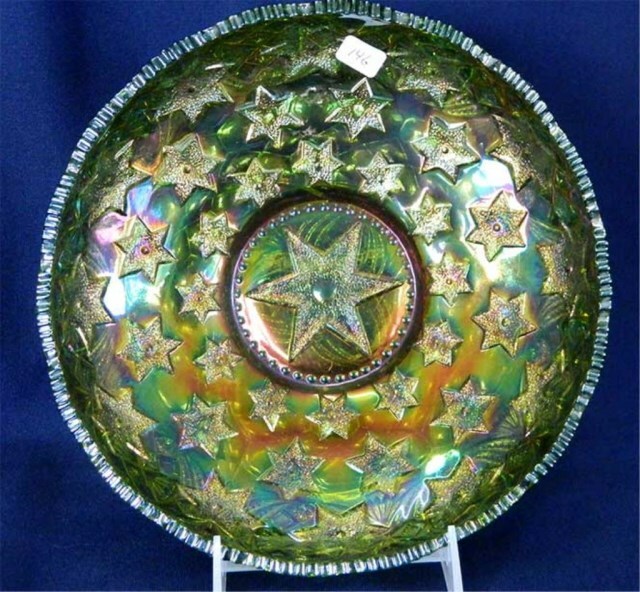 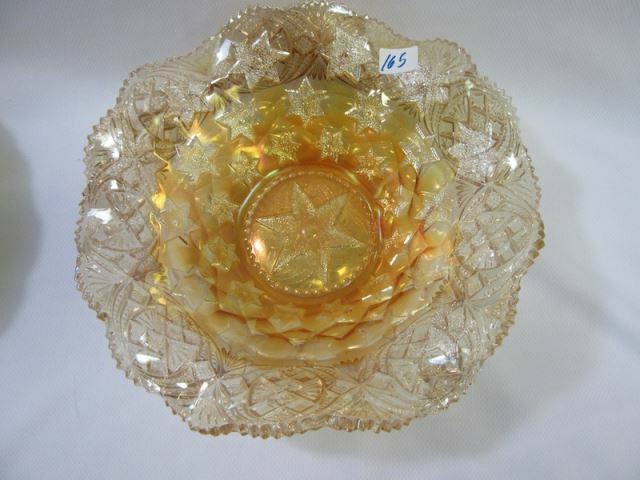 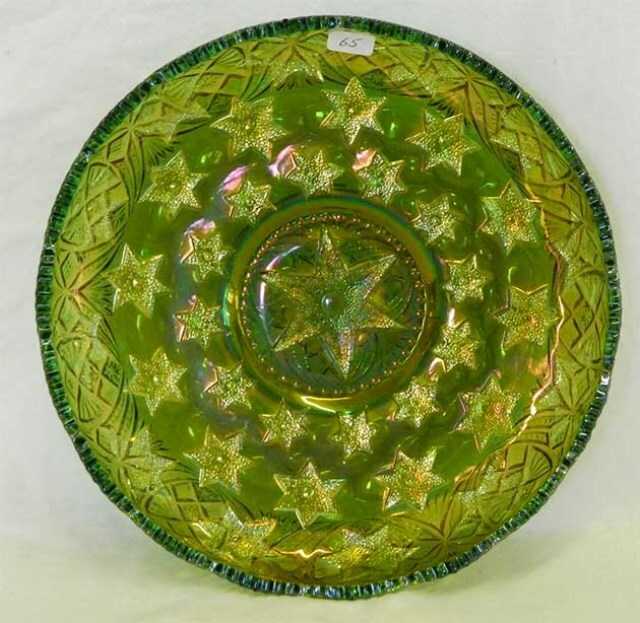 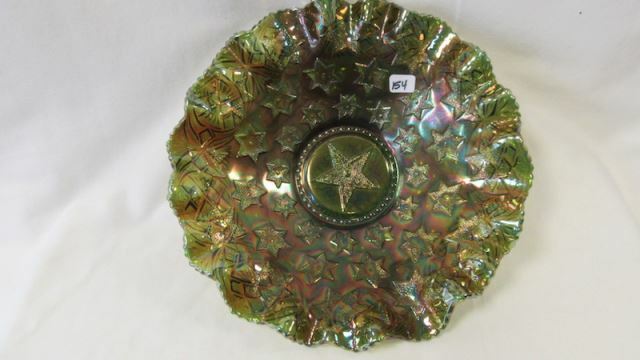 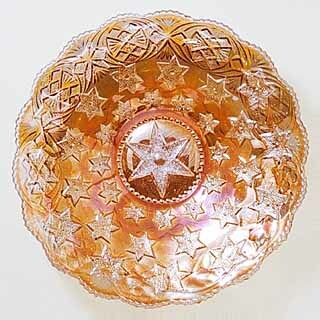 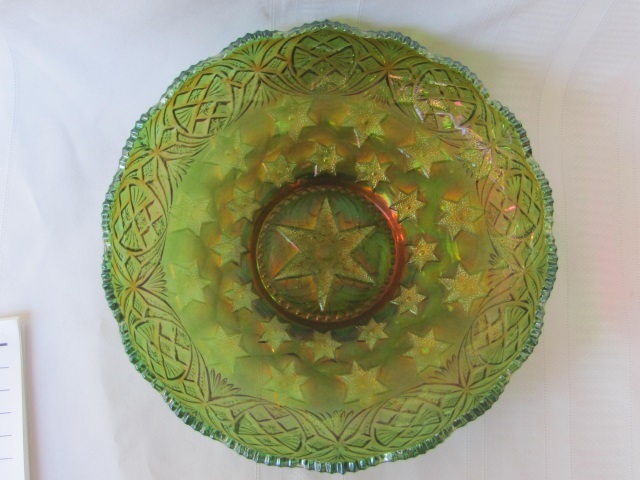 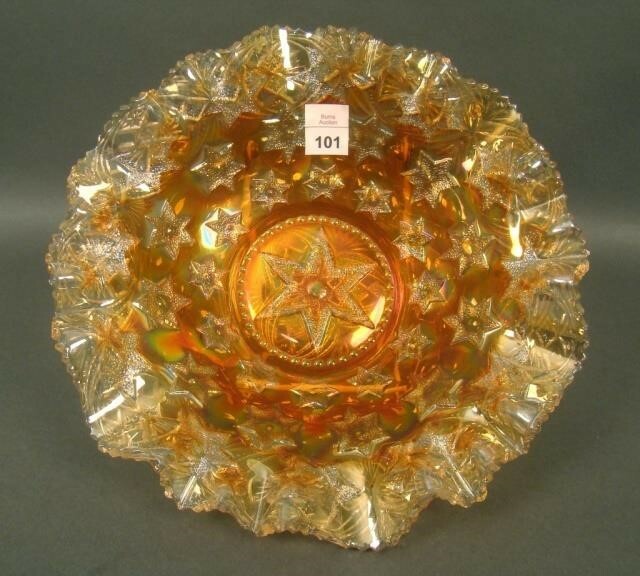 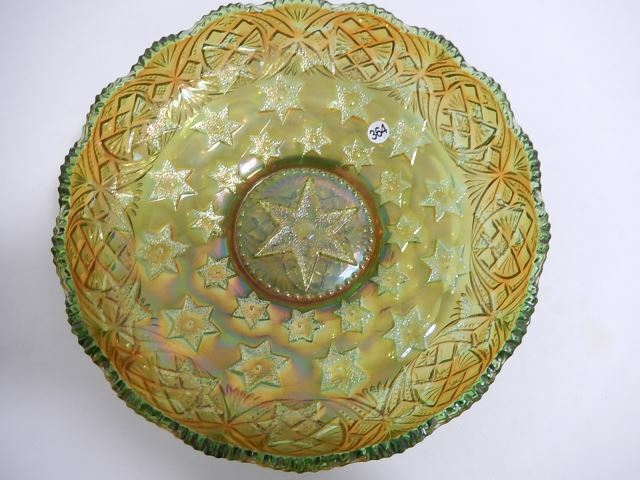 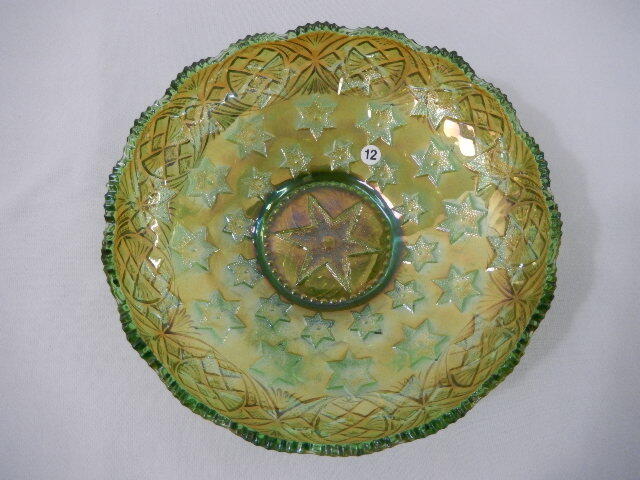 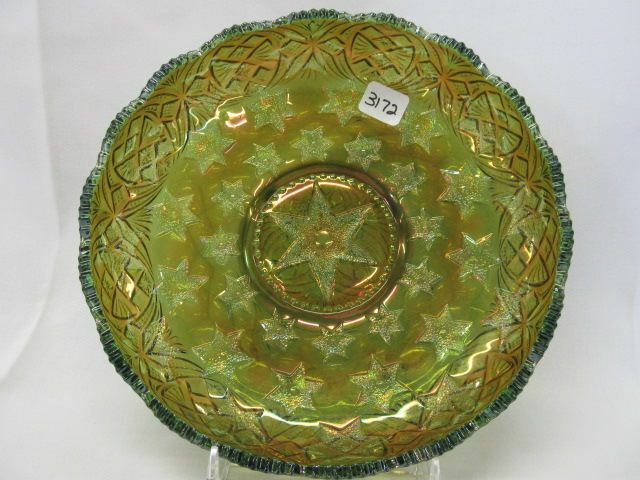 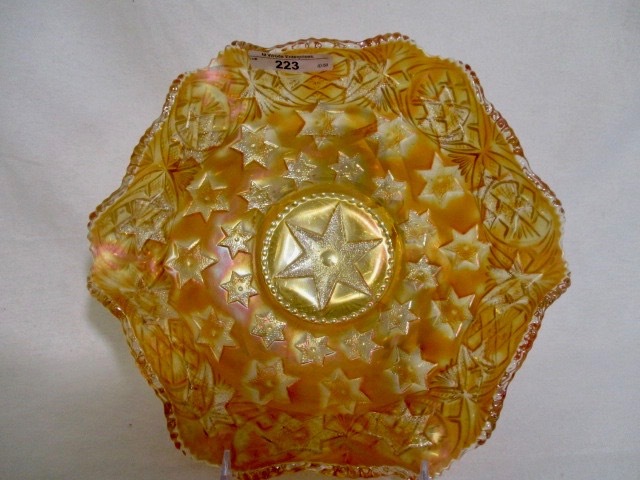 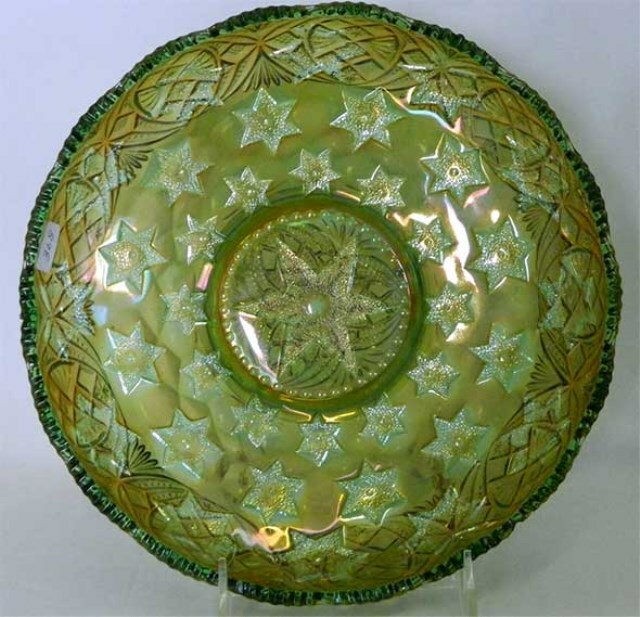 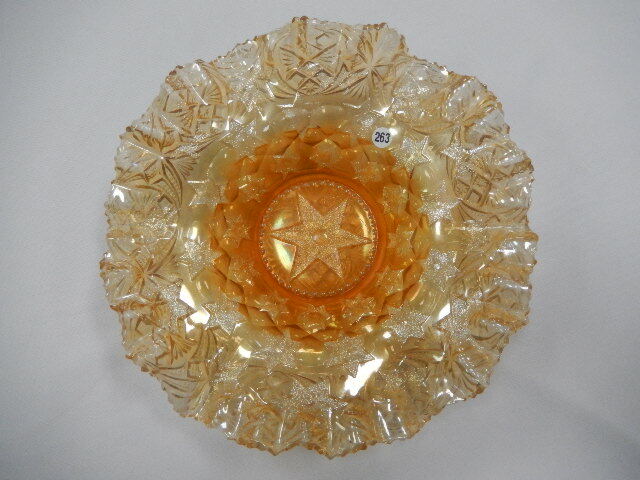 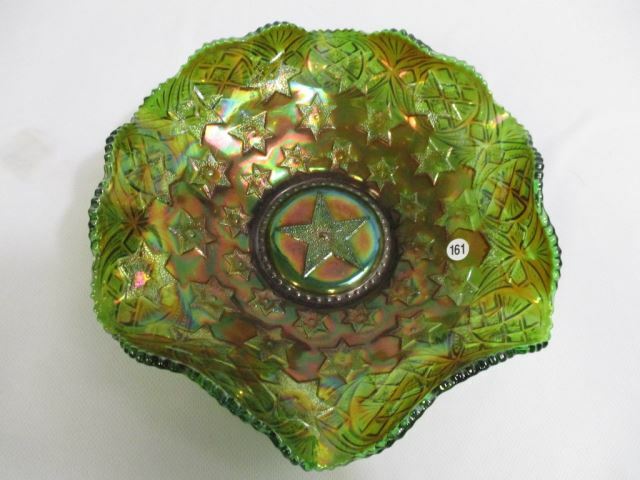 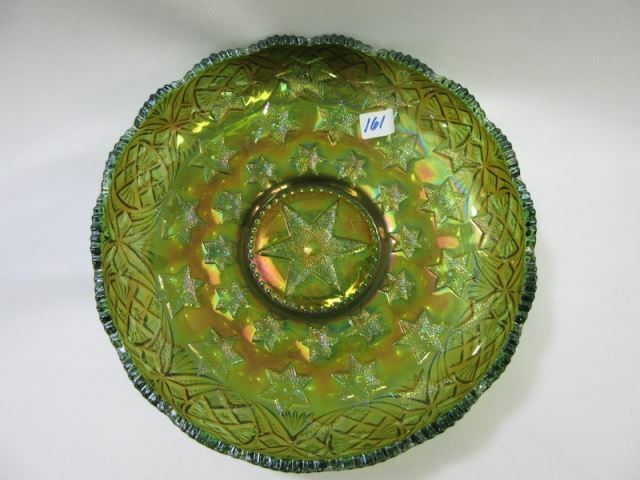 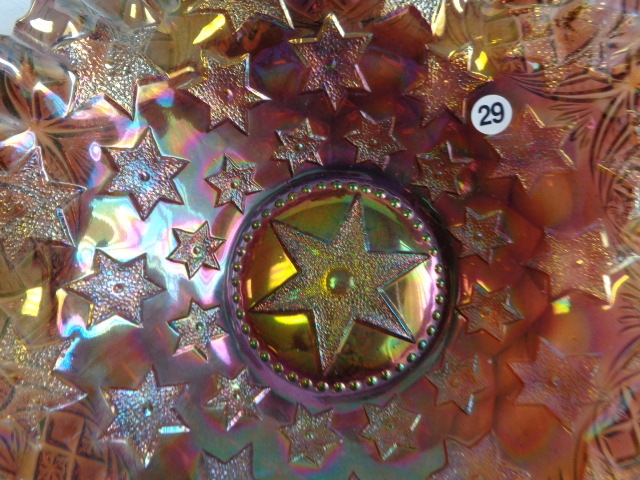 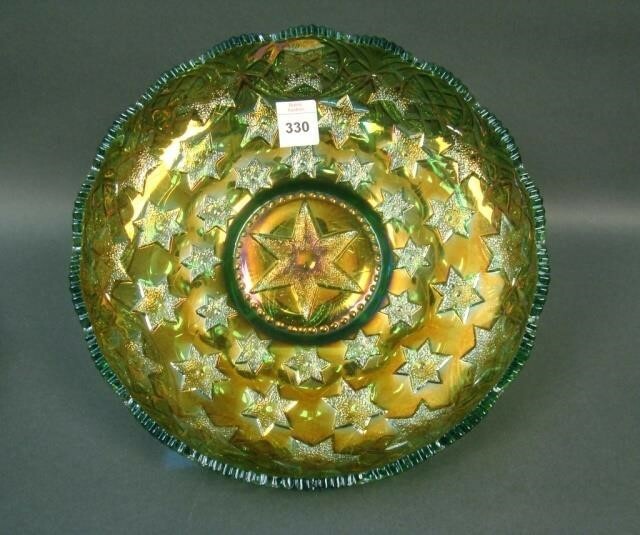 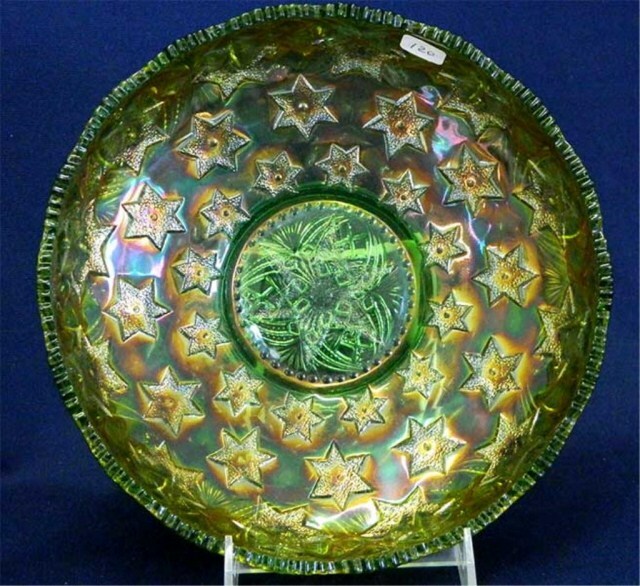 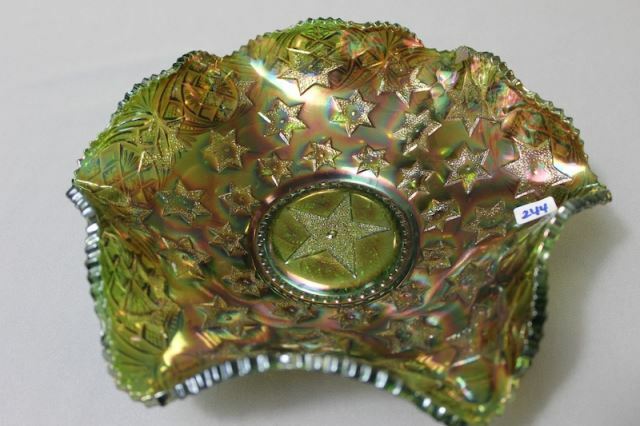 Many Stars was used as the basis for the Bernheimer Bros. lettered bowls. 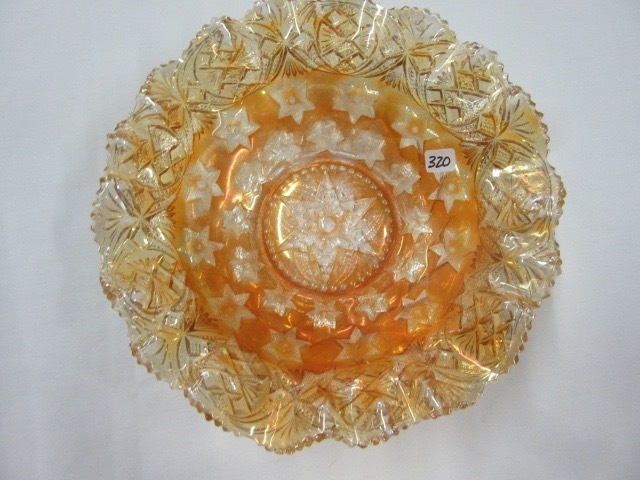 The back pattern is Millersburg's Trefoil Fine Cut. 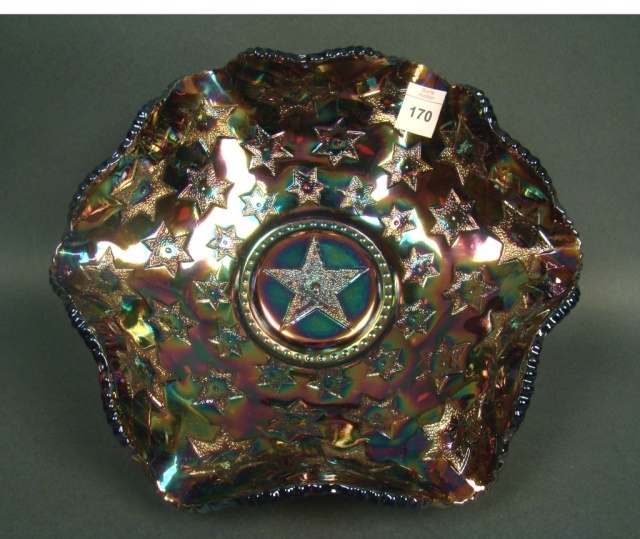 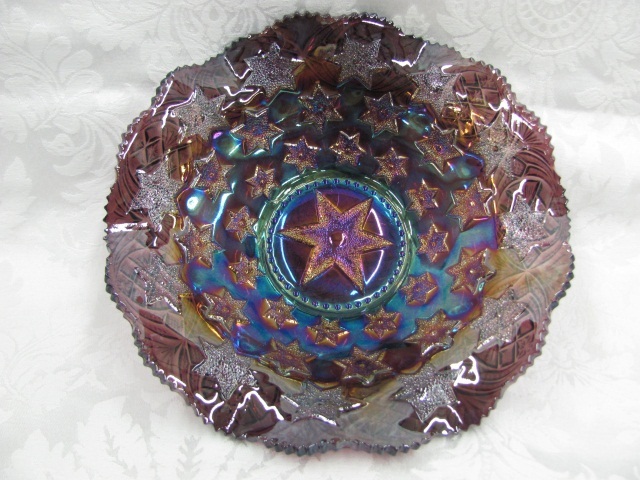 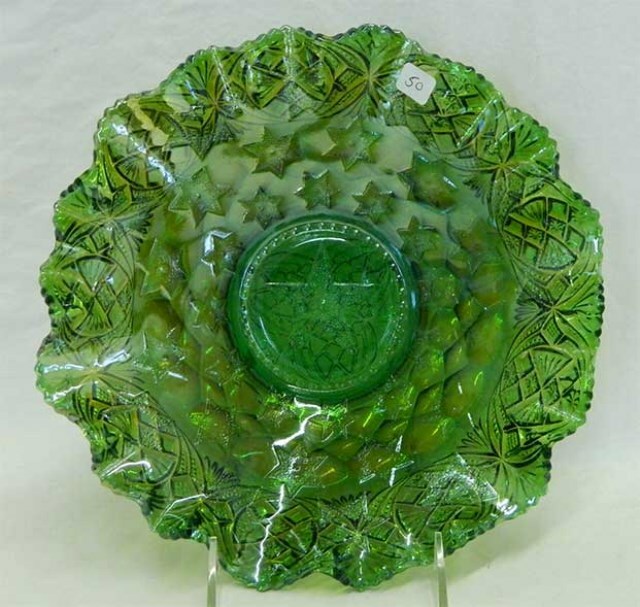 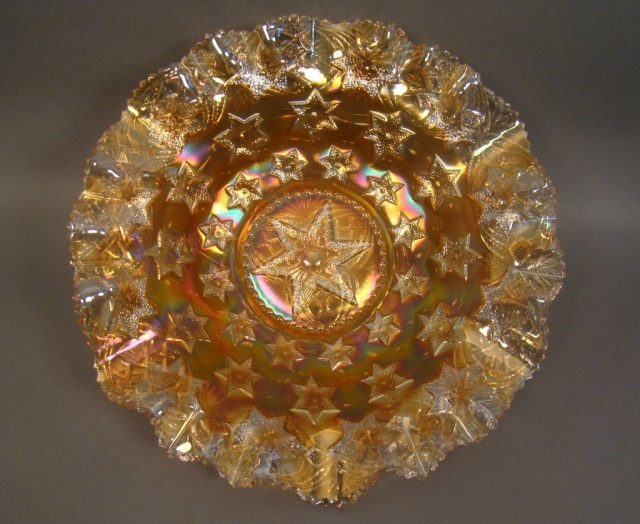 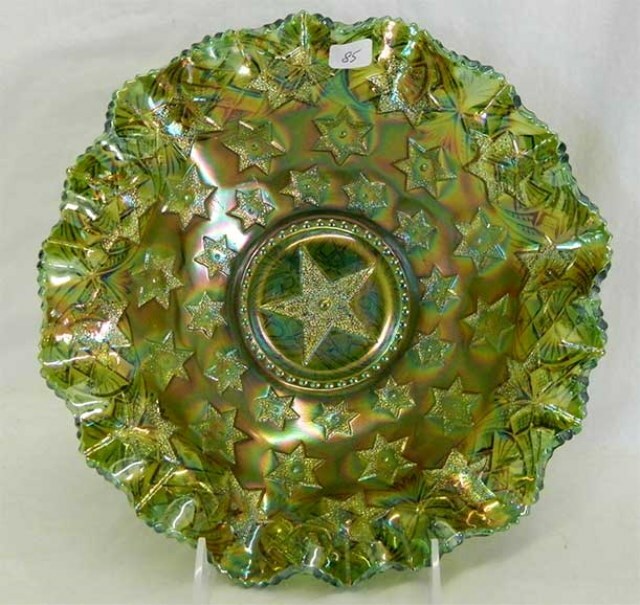 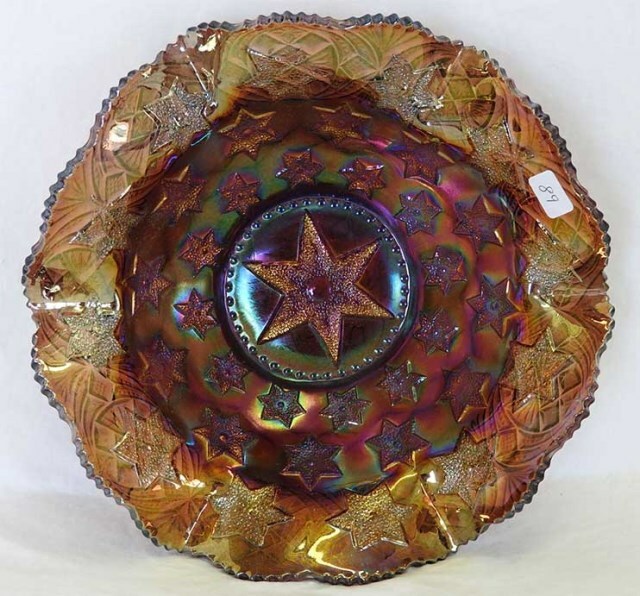 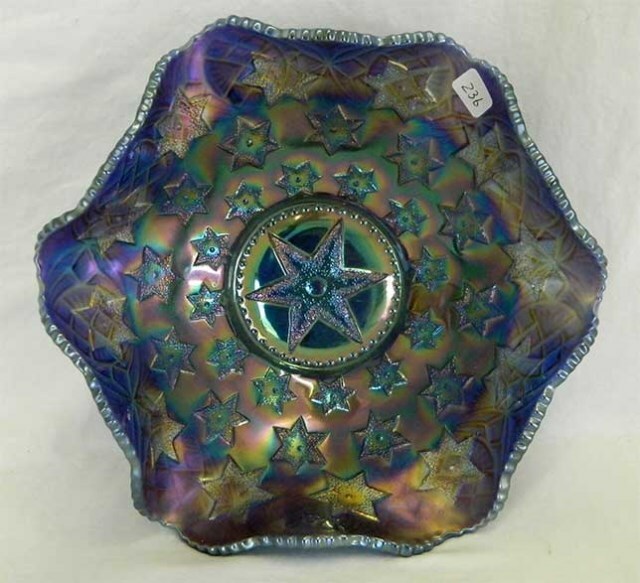 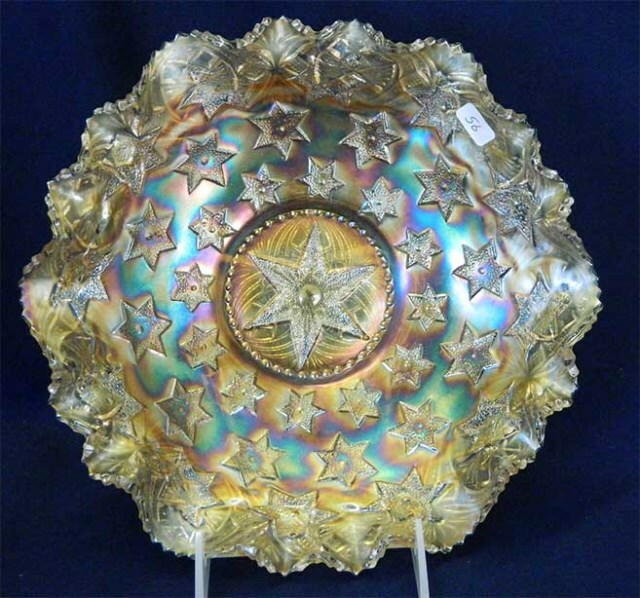 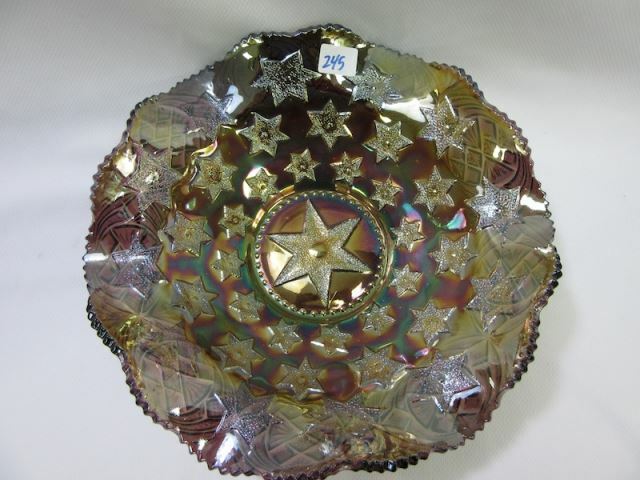 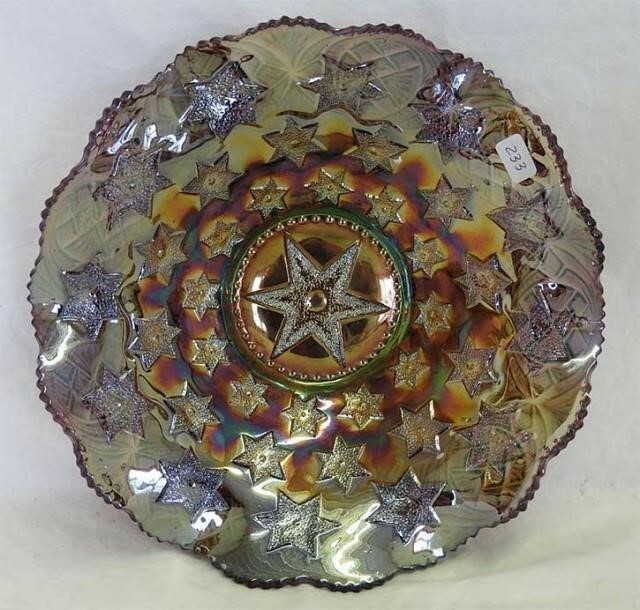 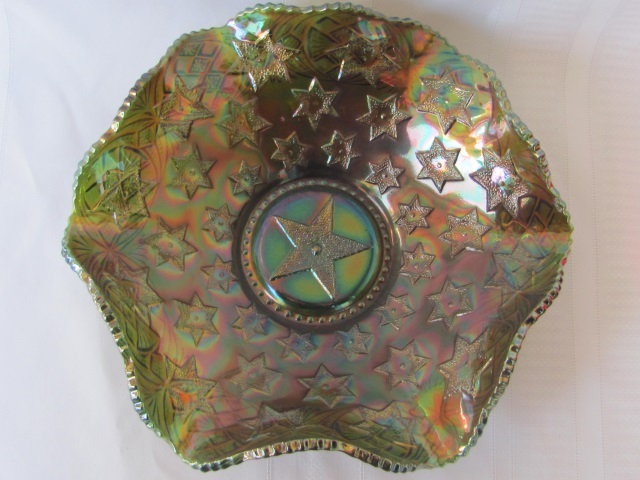 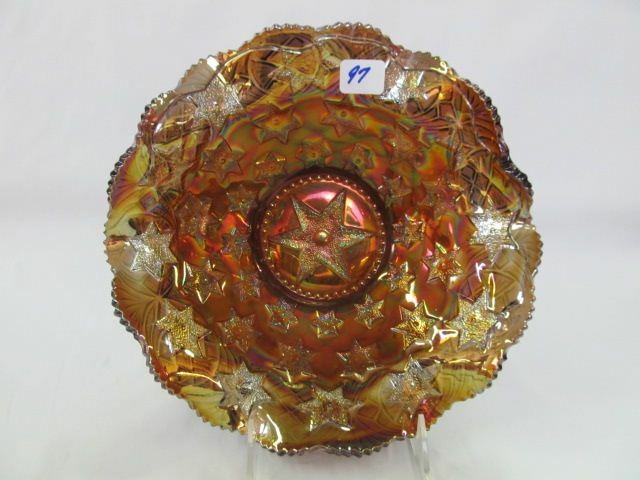 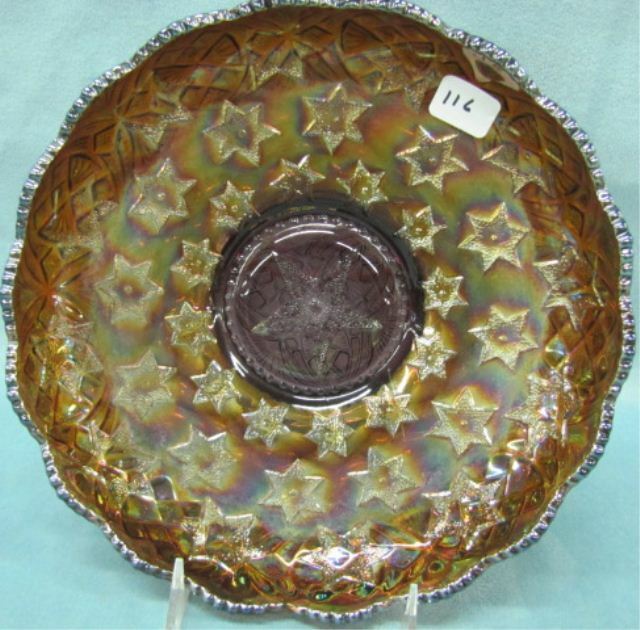 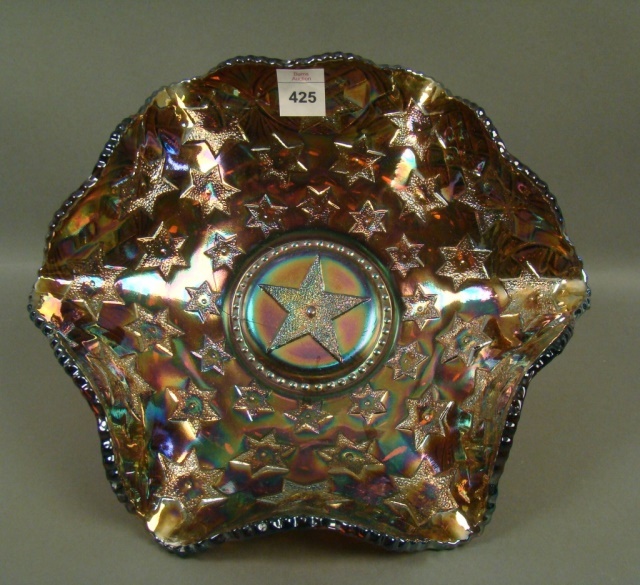 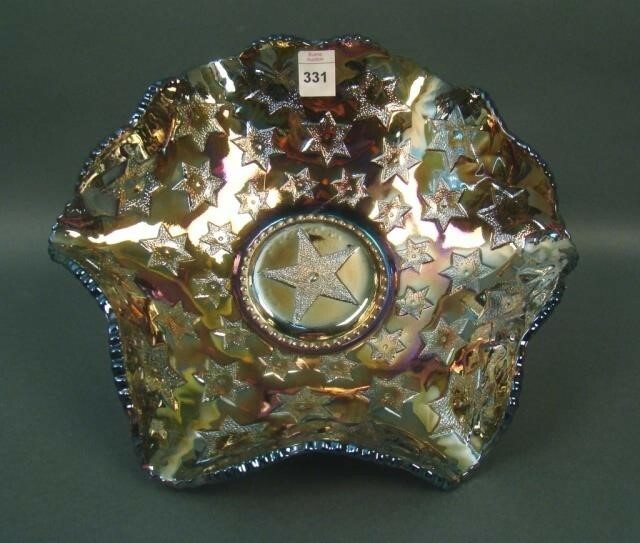 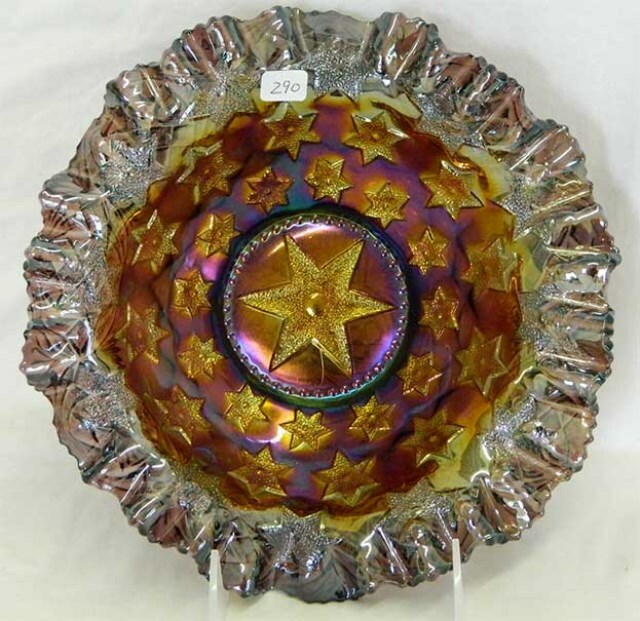 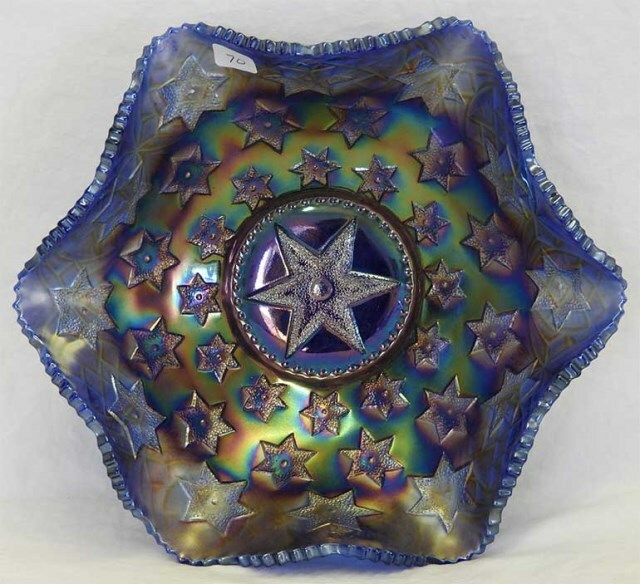 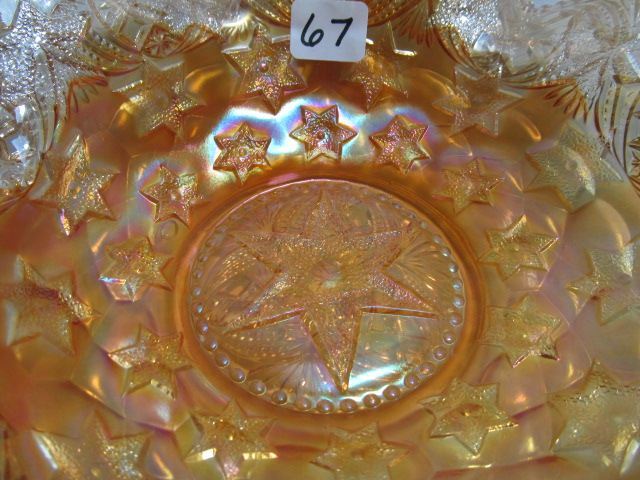 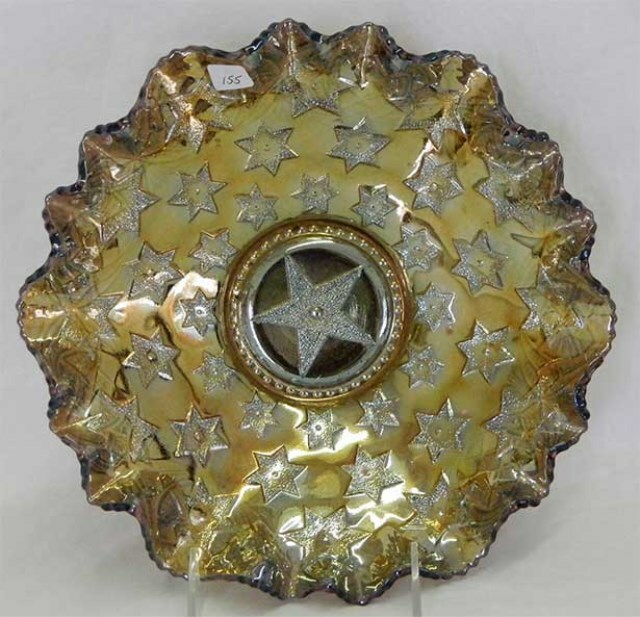 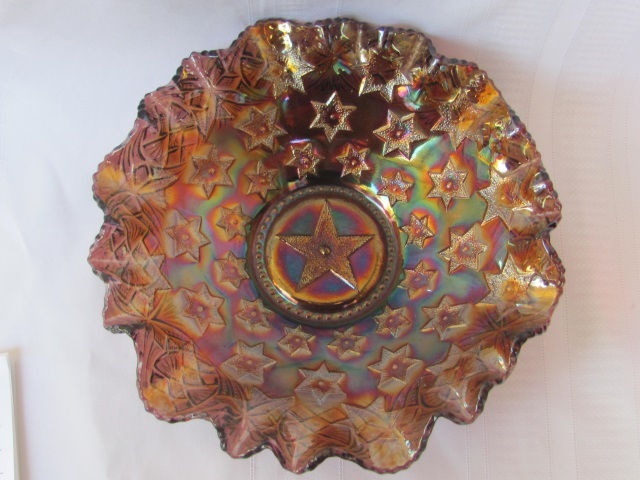 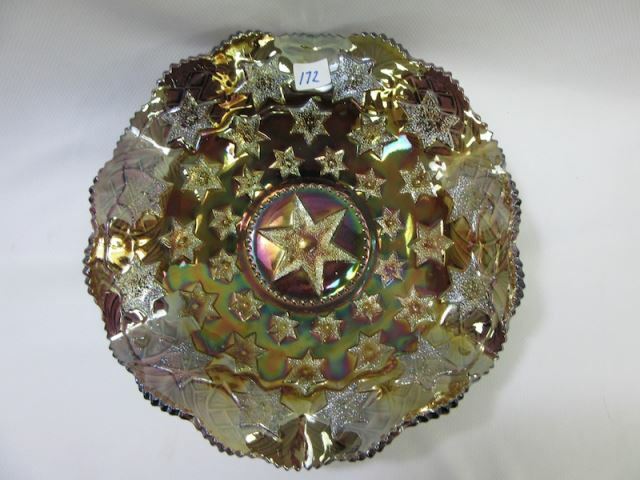 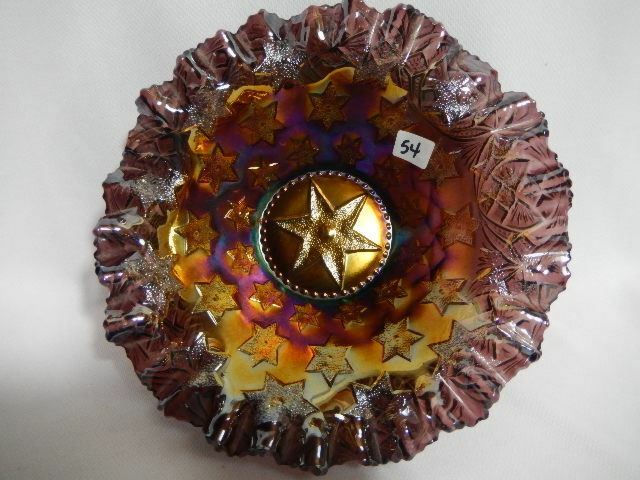 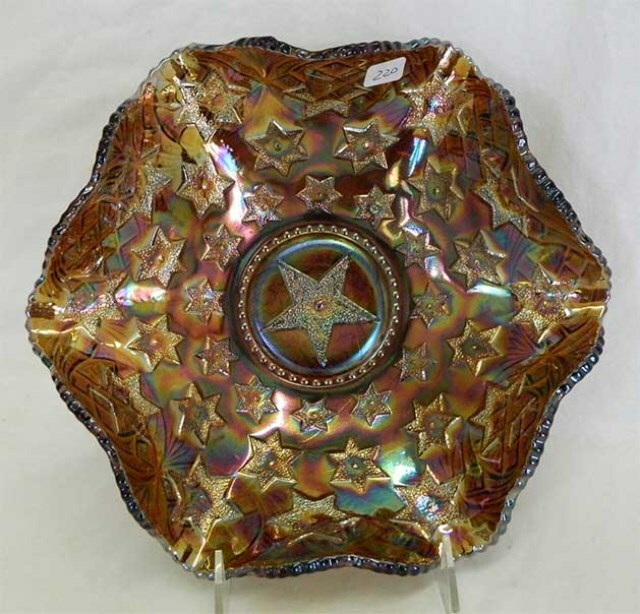 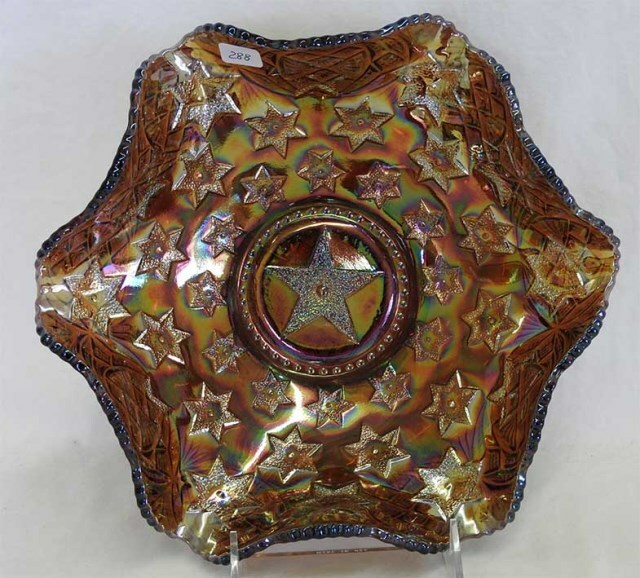 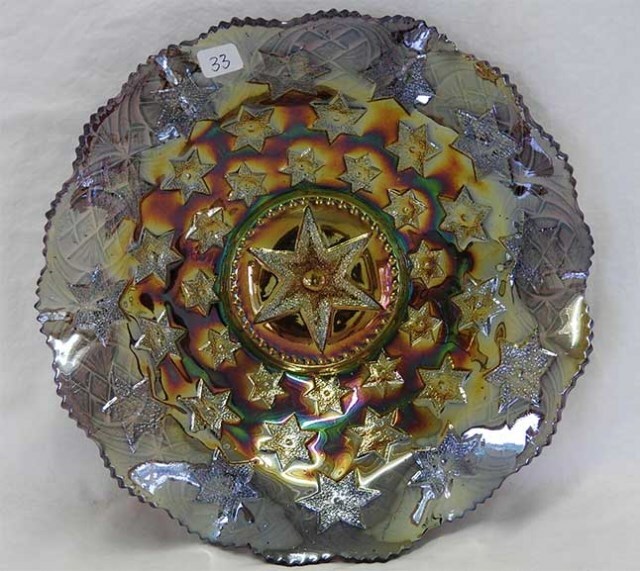 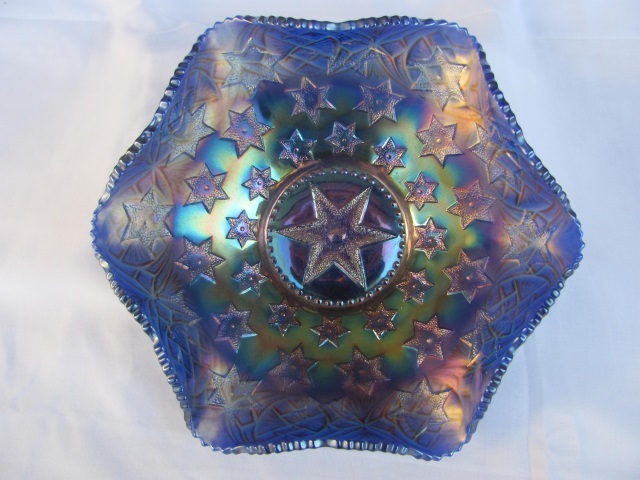 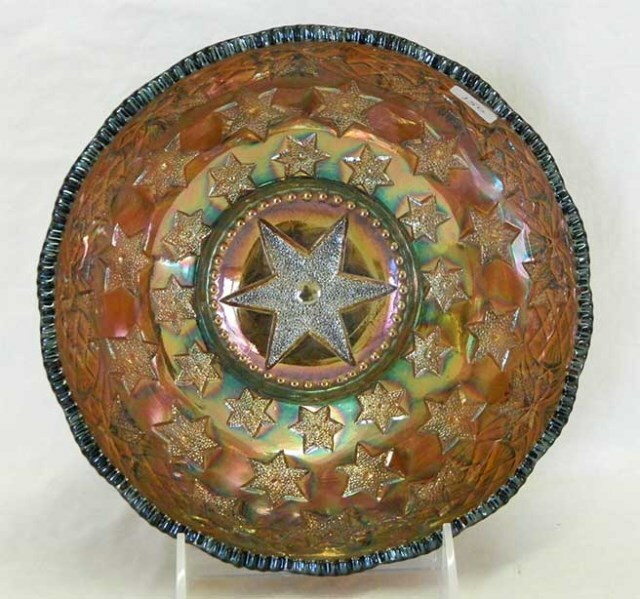 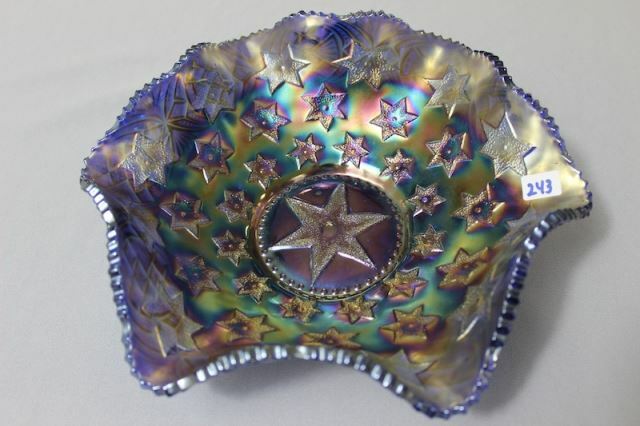 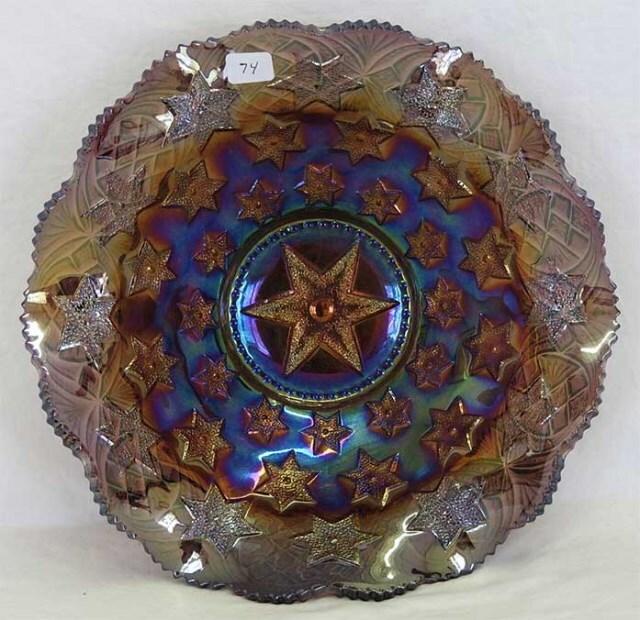 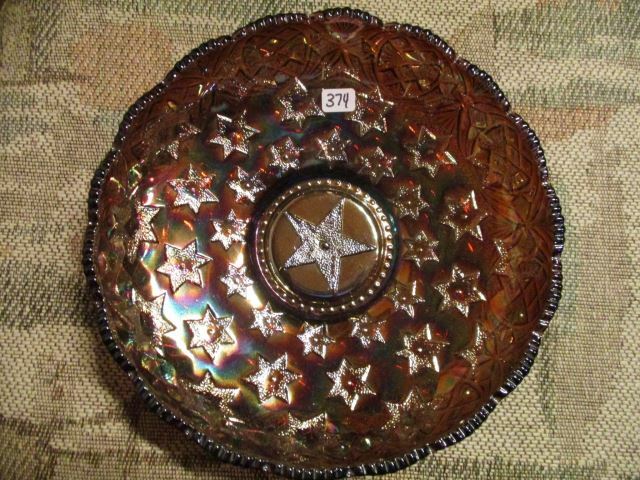 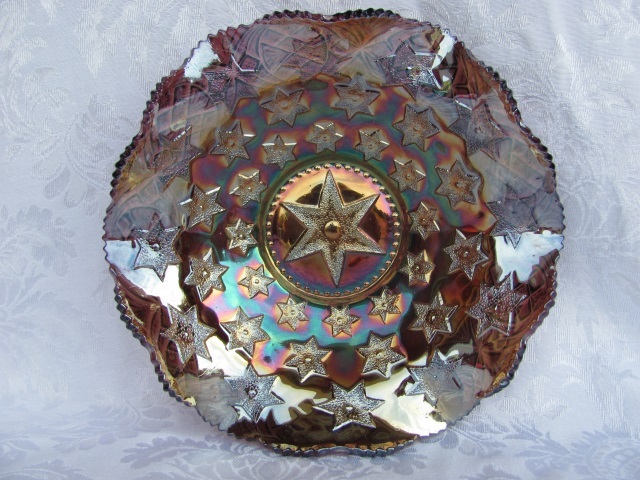 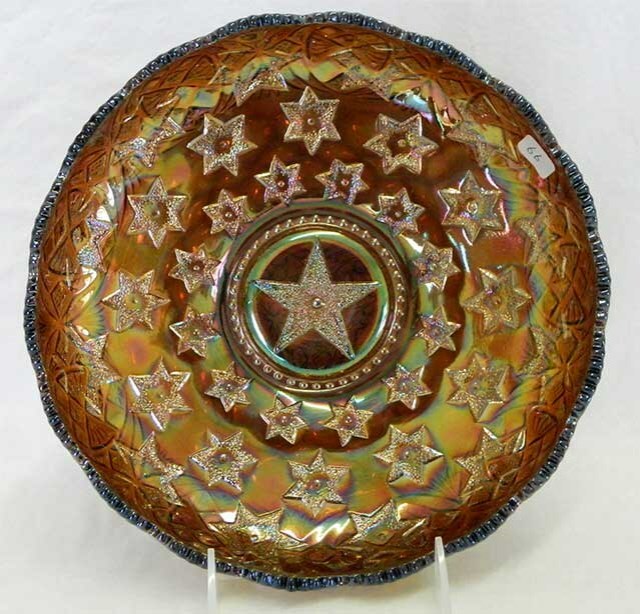 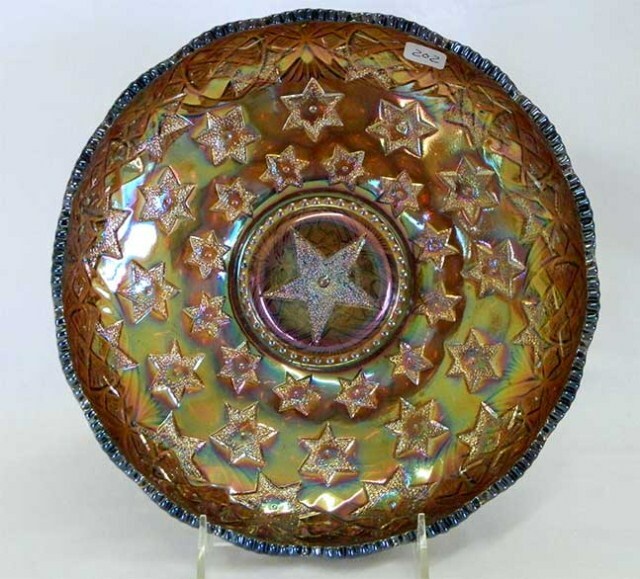 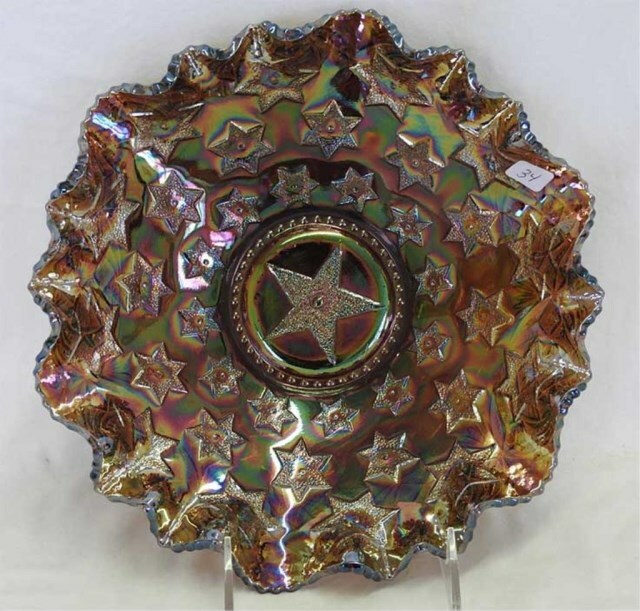 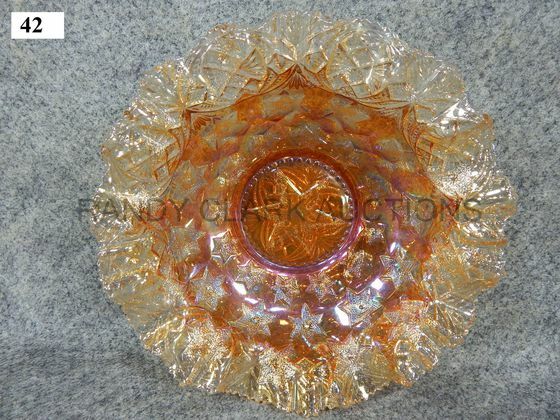 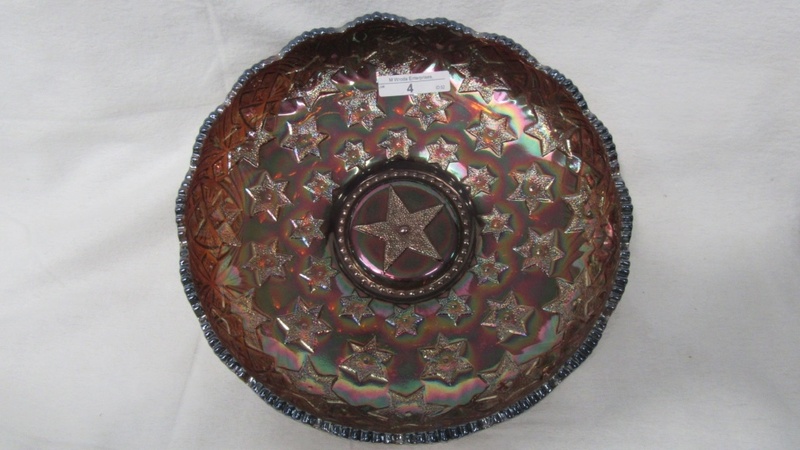 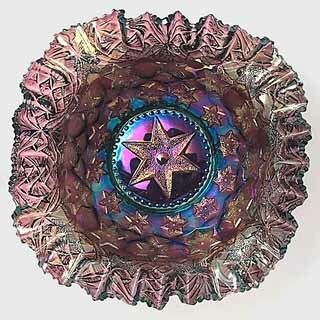 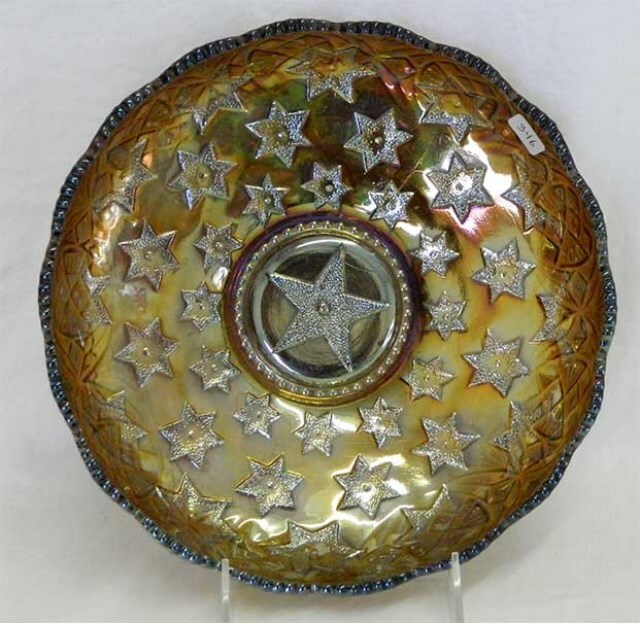 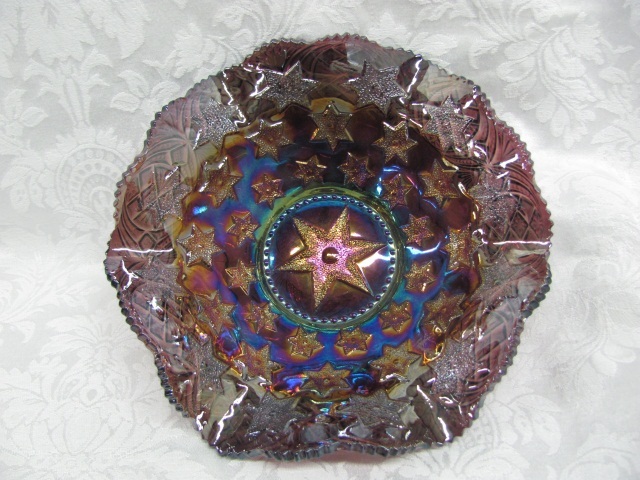 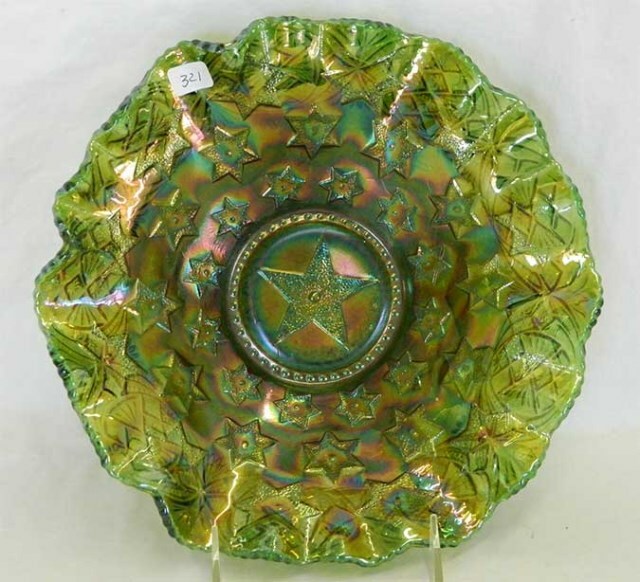 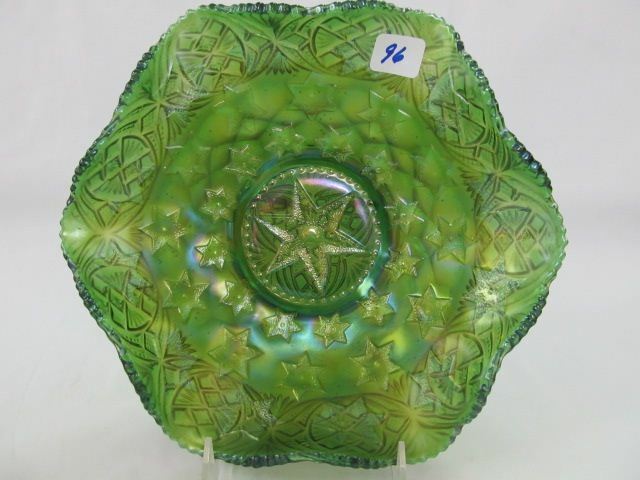 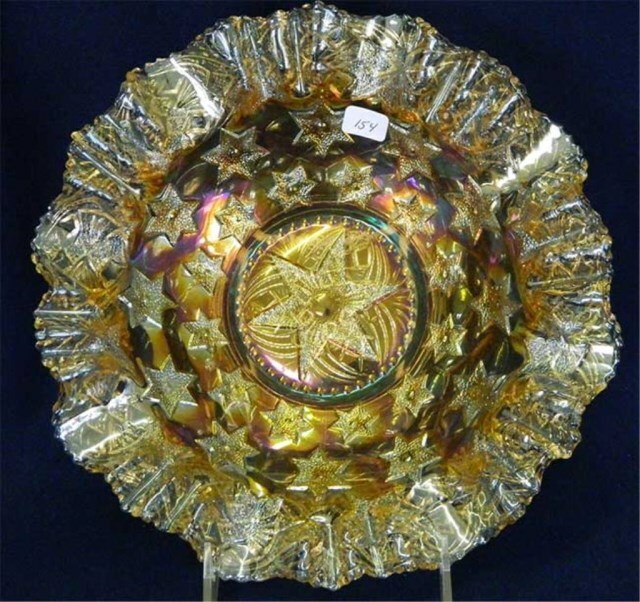 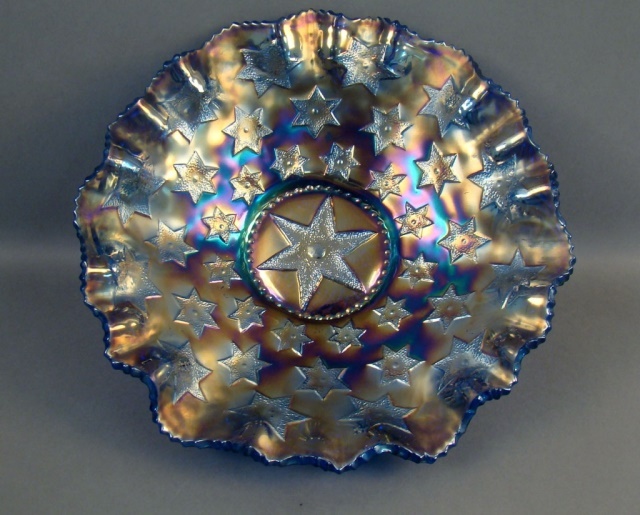 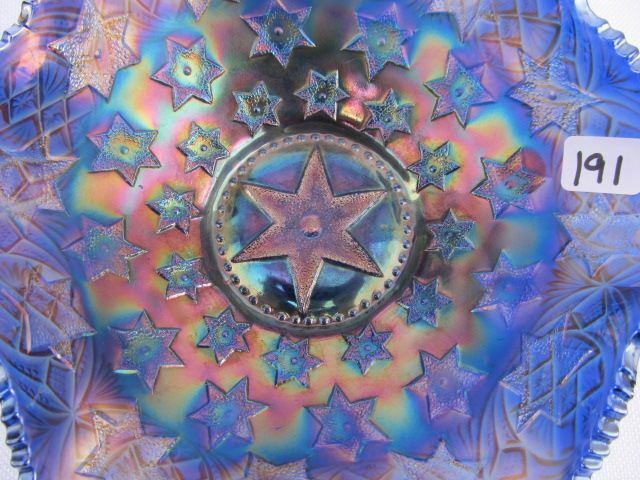 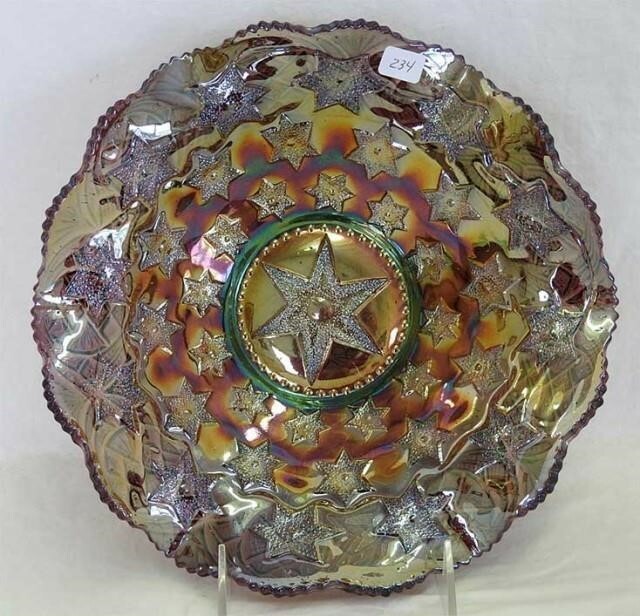 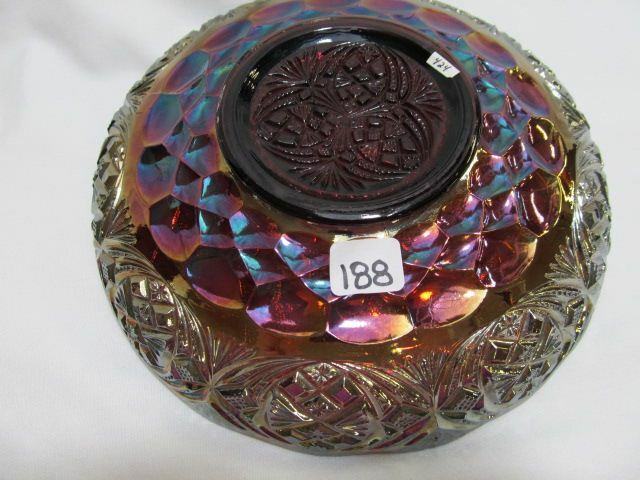 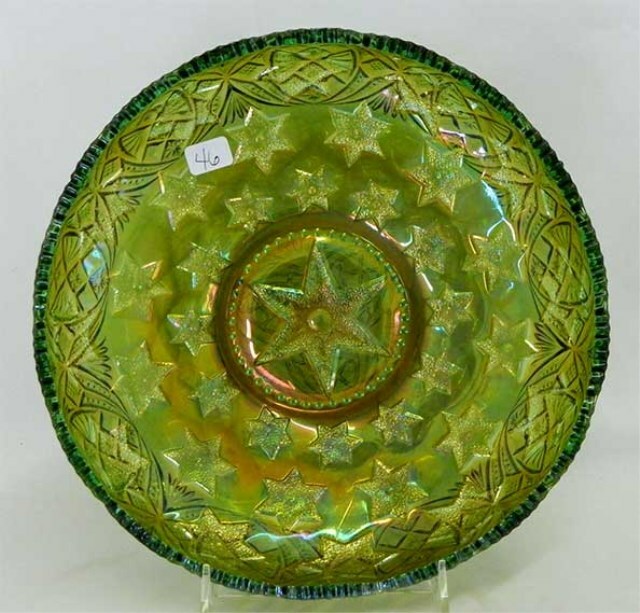 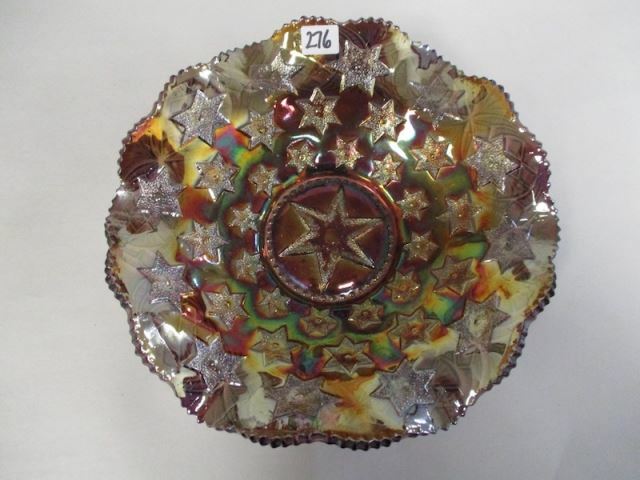 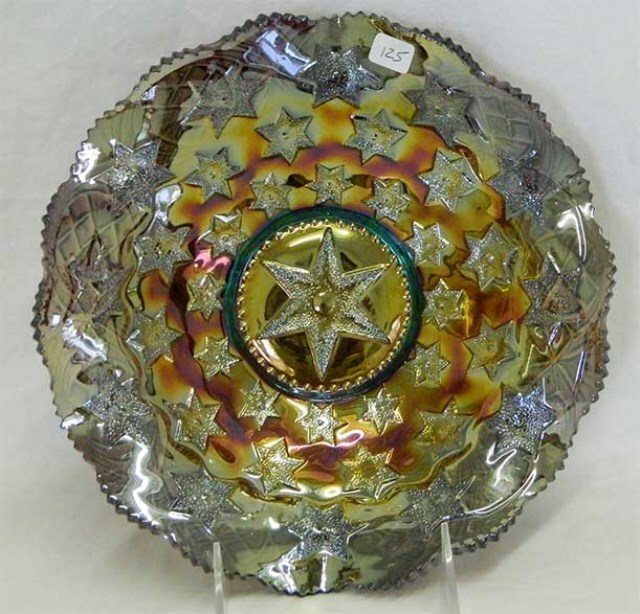 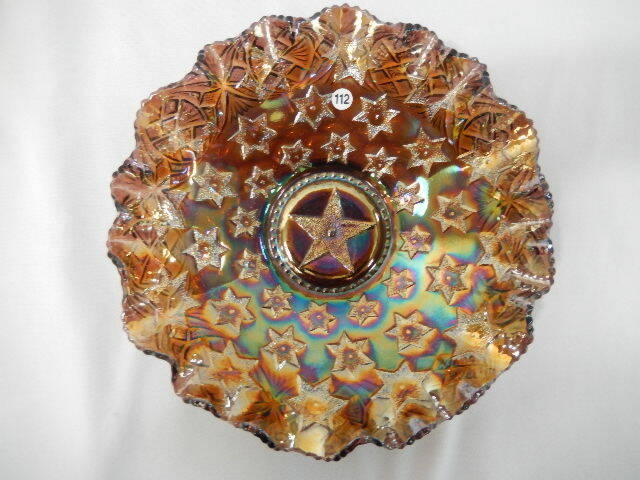 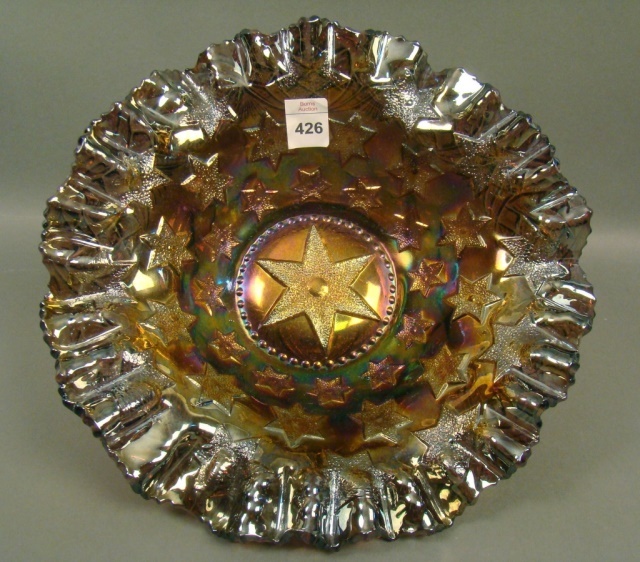 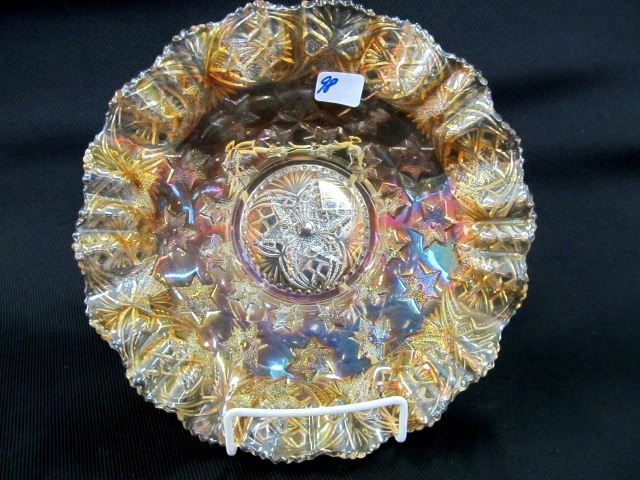 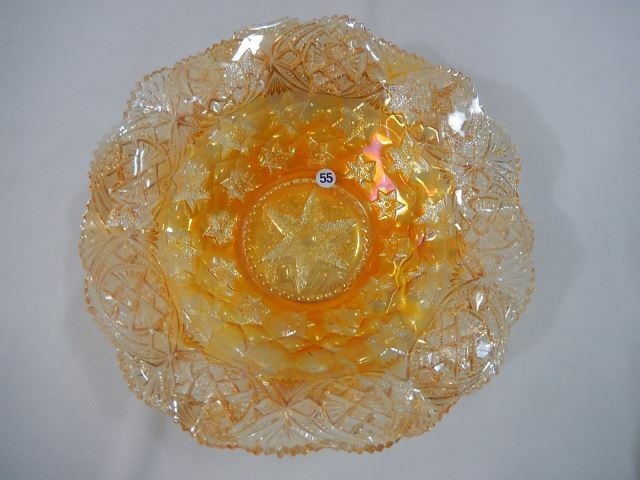 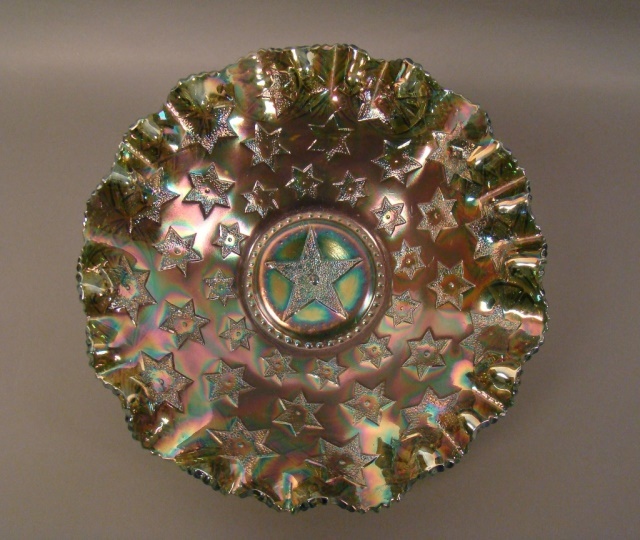 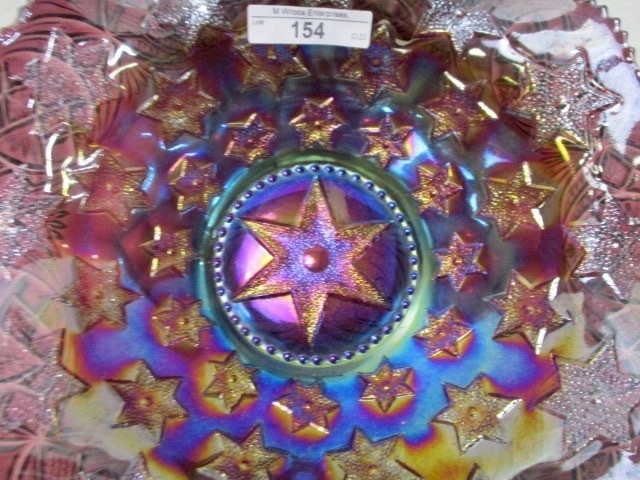 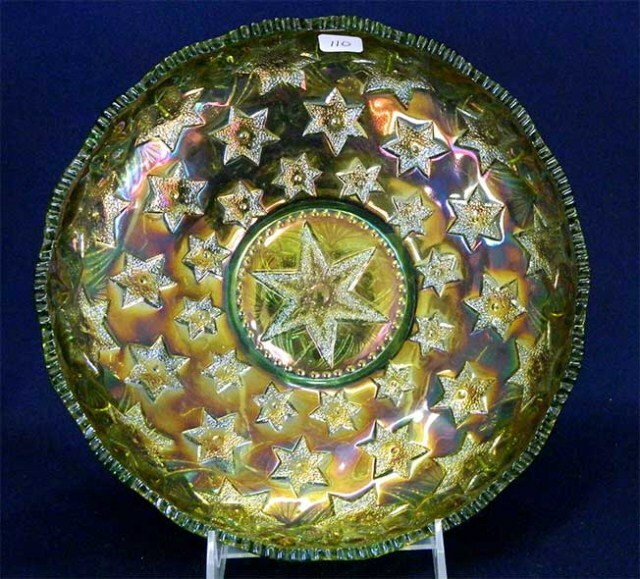 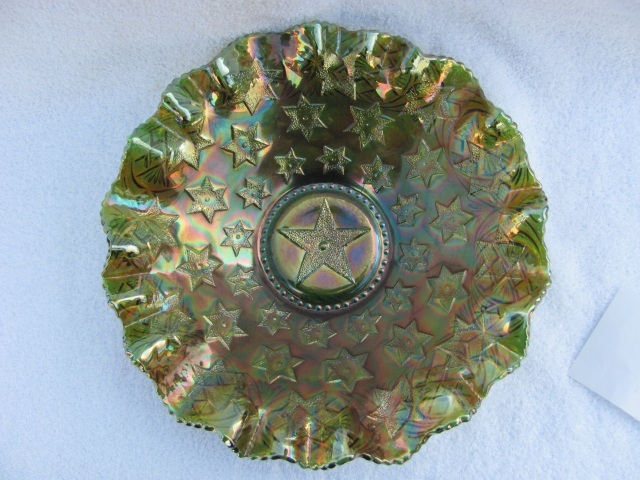 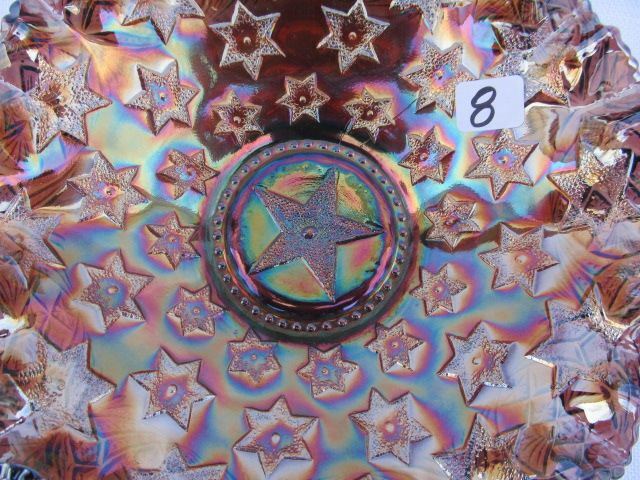 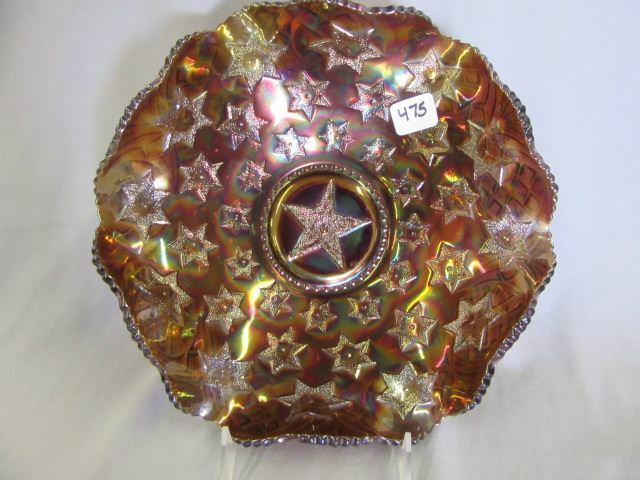 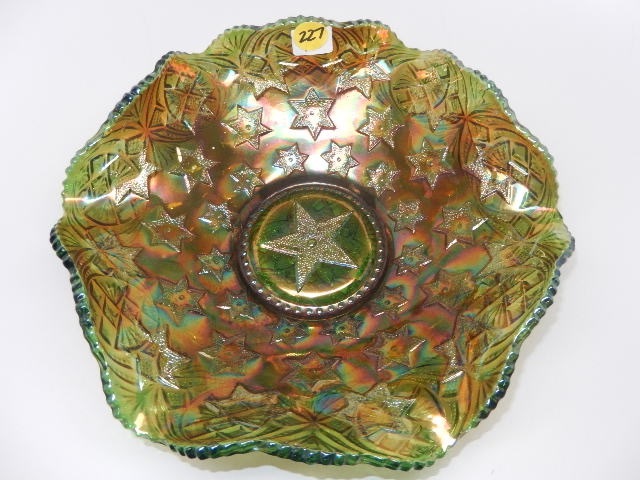 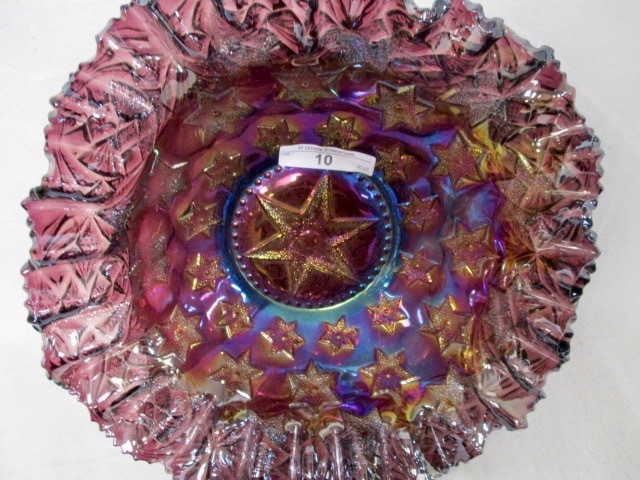 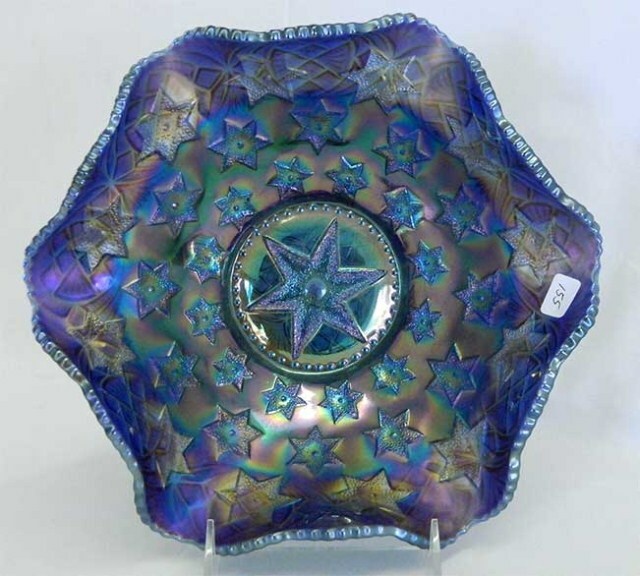 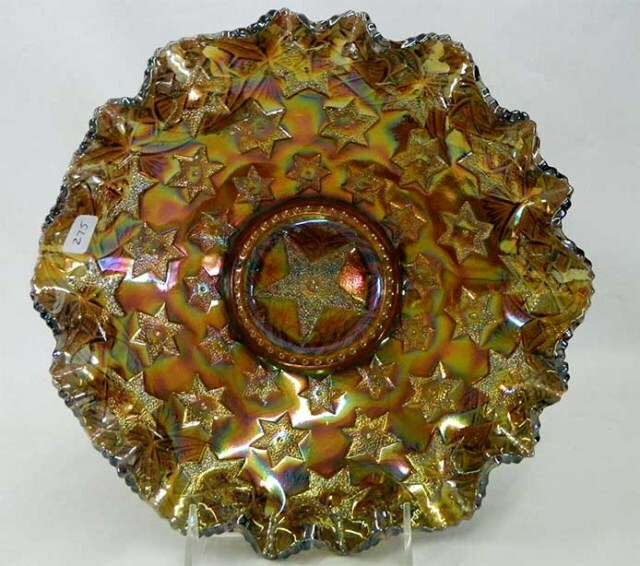 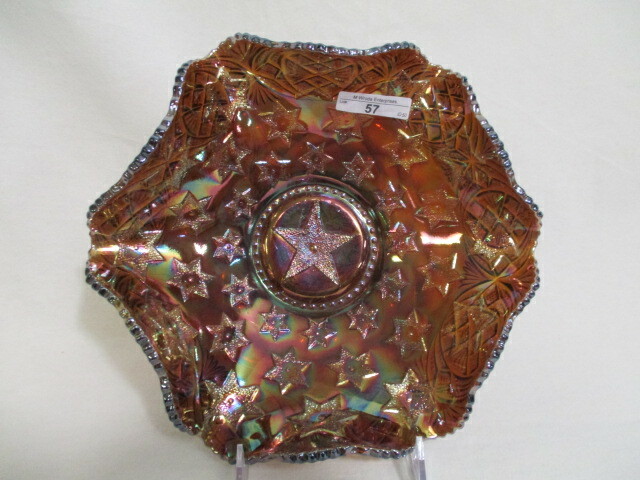 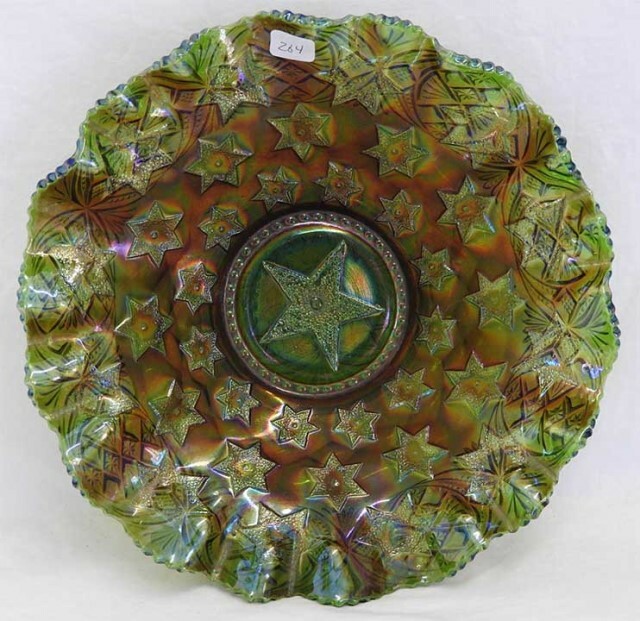 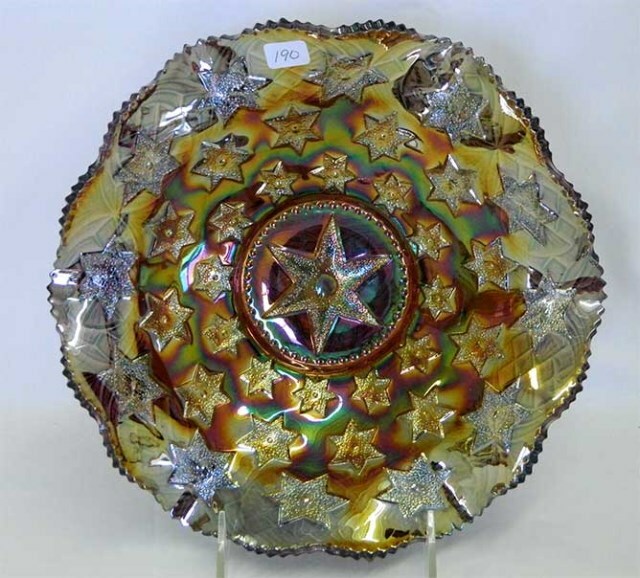 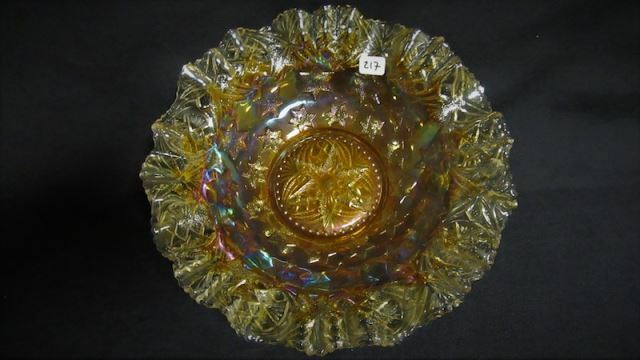 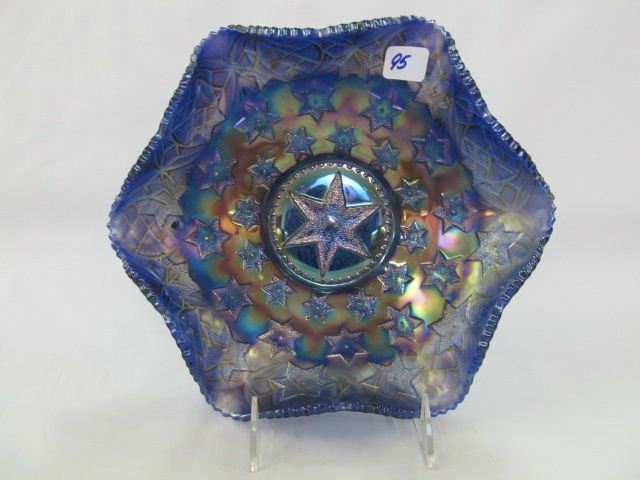 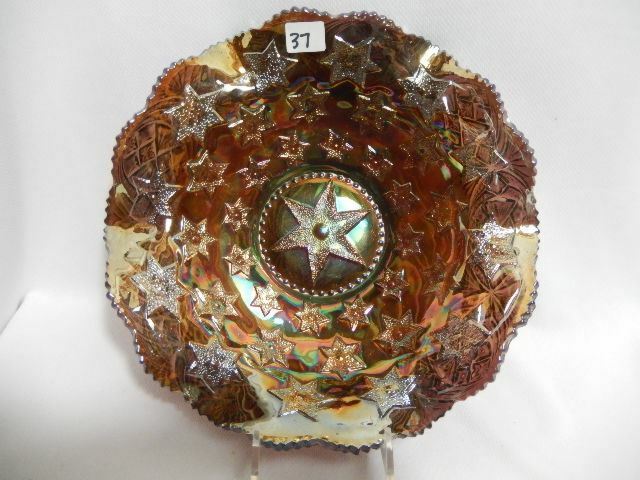 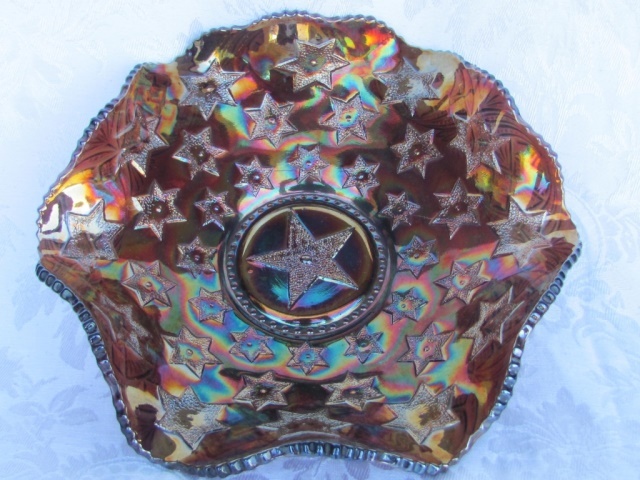 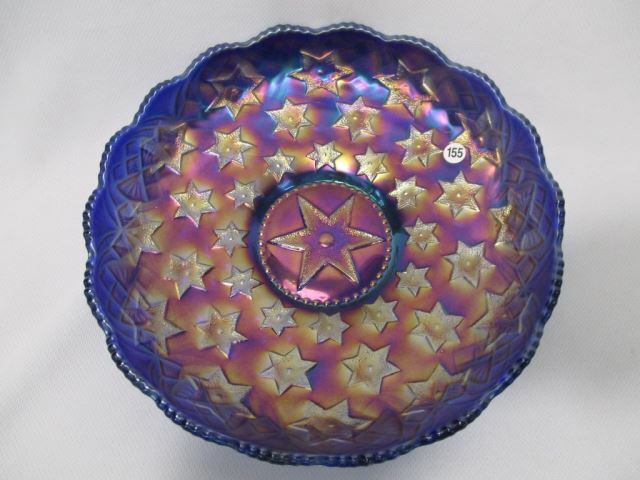 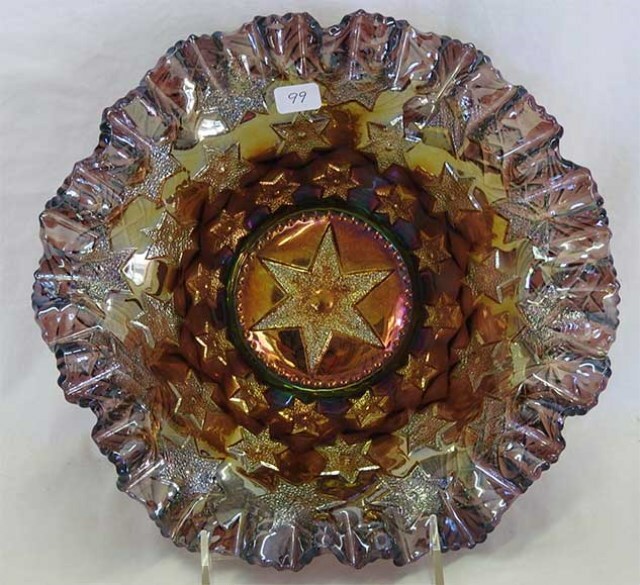 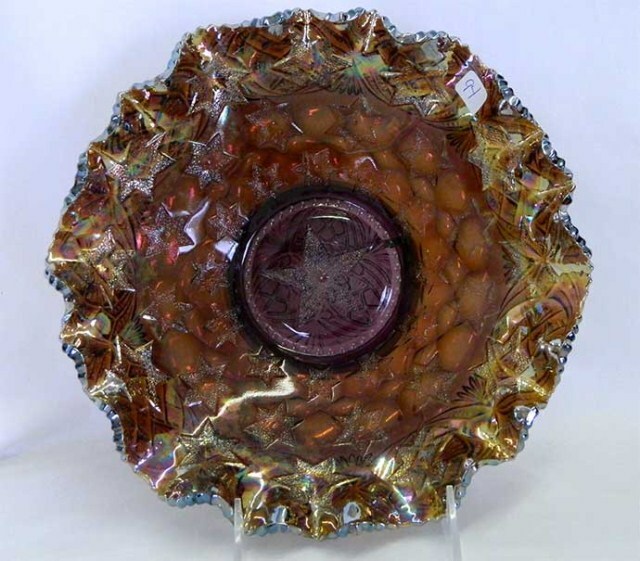 These two rarities in the Many Stars pattern are a marigold chop plate, the only chop plate known, and a square crimped bowl in amethyst that sold for $6,500 in 1994.